AGRICODE Soil Care content Beta-Poly-N-Acetyl-D-Glucosamine and Beta-Poly-D-Glucosamine are able to increase the natural plant resistance to diseases especially bacteria and fungus. By spraying AGRICODE 200 Soil Care on the soil surface around the crops, it is able to destroy all the pathogenic bacteria and fungus which might affect the growth and development of the crops. AGRICODE 200 Soil Care can promote plant tissue synthase phytoalexin which enables the plant to fight pathogenic bacteria. Natural plant based enzymes, Chitinh/Chitosan, chemical based of mineral eg: MAP, SOP and Mg(OH)2 etc. AGRICODE 200 Soil Care content Beta-Poly-N-Acetyl-D-Glucosamine and Beta-Poly-D-Glucosamine are able to increase the natural plant resistance to diseases especially bacteria and fungus. By spraying AGRICODE 200 Soil Care on the soil surface around the crops, it is able to destroy all the pathogenic bacteria and fungus which might affect the growth and development of the crops. 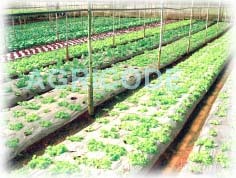 AGRICODE 200 Soil Care can promote plant tissue synthase phytoalexin which enables the plant to fight pathogenic bacteria.